Disclaimer: I was invited to Easy Tiger’s friends and family party with provided food and beverages. The wait is FINALLY over. It’s been more than two years since the Linc location of popular bakery and beer garden Easy Tiger has been announced. 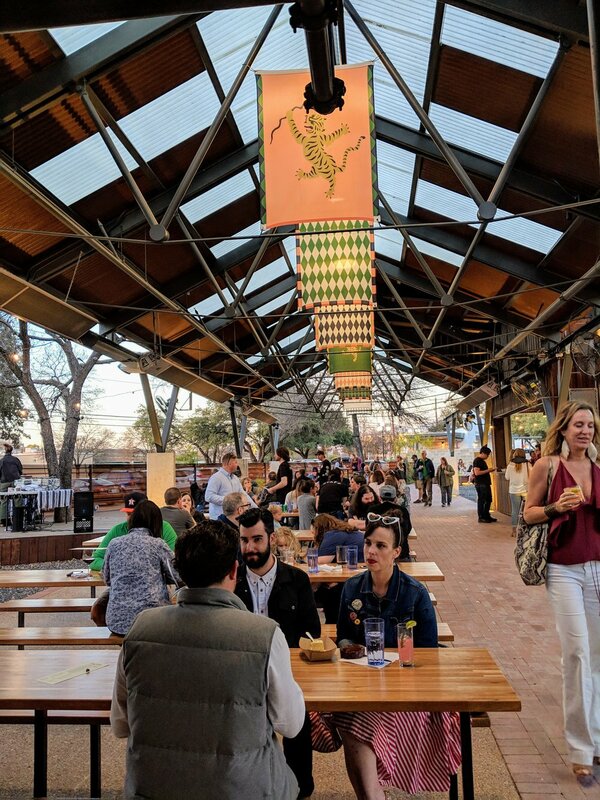 But, on December 8, North-Central Austinites can now enjoy their very own Easy Tiger—complete with drive-thru, specialty menu items, and a bigger space! Head to the revitalized Linc shopping plaza (right across from the old Highland Mall) at 6406 North Interstate 35 Frontage Road to enjoy the same great dishes that Easy Tiger is known for—sausage, pretzels, and beer! But, with a bigger location—more than three times the downtown location—super easy parking, and the aforementioned drive-thru, those who live north of Campus, such as myself, may never go to the downtown location again (OK, maybe a bit of a hyperbole). I live super close to the new location, and, personally, I couldn’t be happier. The space is bright and welcoming, with a gorgeous covered outdoor patio, plus ping pong tables and a stage for live music and DJs. Saturday, Dec. 8: Bake Shop 7 a.m.-2 a.m.; Beer Garden 11 a.m. to 2 a.m.
Brunch and morning drive-thru service will also be available in the coming weeks, so stay tuned!